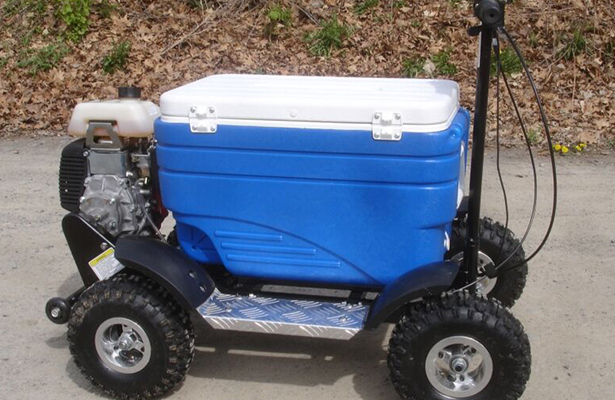 The All-Terrain Cooler is now shipped approximately 95% assembled. All you need to do is attach the fenders and running boards, the front tires (one nut each) and the steering column (one bolt), inflate the tires to the correct pressure, add oil and add gas (do not mix gas and oil), and you are good to go! HAVE A GREAT TIME!!! 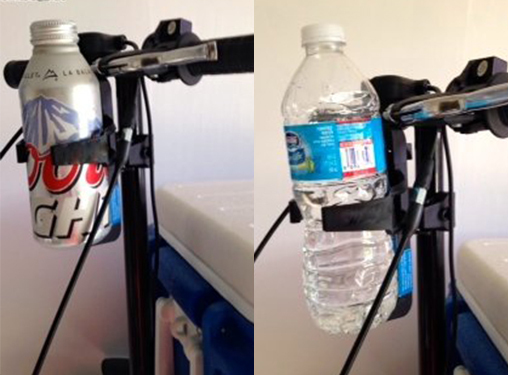 When you combine a cooler and a Go Kart, you get a fun motorized ALL-TERRAIN COOLER scooter designed for fun and an amazing ride through even the roughest of surfaces. 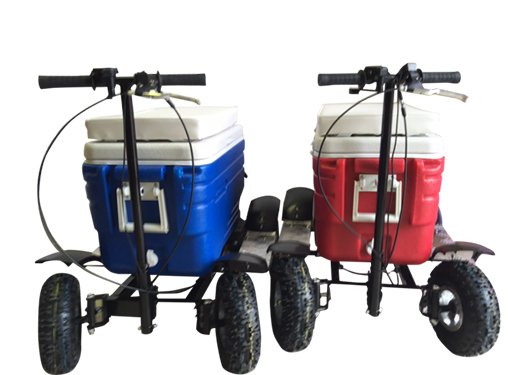 The All-Terrain Cooler Go Kart was designed and built on a solid frame built with four all-terrain wheels. 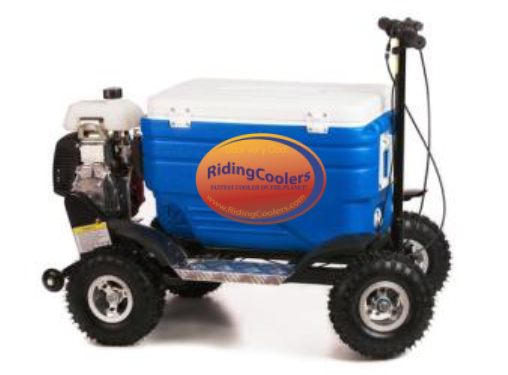 Unlike our other motorized cooler, this one comes with a 49CC 4-stroke gas engine and a safety wheelie bar. 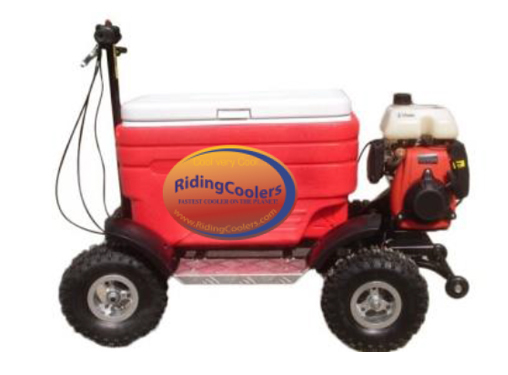 Whether you’re tailgating or hosting a great party, the Cooler Go Kart will certainly turn heads while keeping all your beverages and food nice and cool! 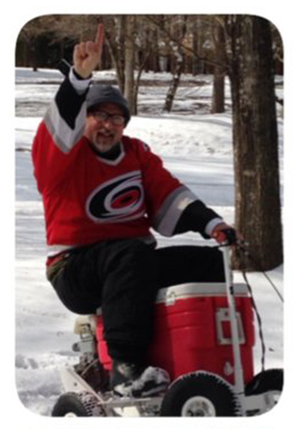 © 2019 Riding Coolers All Rights Reserved.